French pharma giant Sanofi has said that it will cut 670 jobs in France over the next two years. The company currently employs 25,000 employees across France. In speaking with the 710,000 strong CGT Union, Sanofi has said that the cuts will be voluntary as jobs in finance, human resources and IT are to be culled by 2020. Sanofi are also set to outsource 80 IT jobs. The announcement comes as major protests have brought Paris to a standstill. 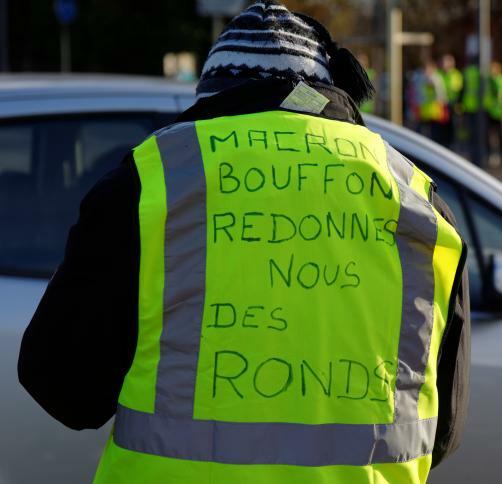 The so-called Yellow Jacket protestors (gilet jaunes), who are opposed to the neoliberal policies of French President Emmanuel Macron, have led huge protests involving nearly 300,000 in recent weeks. The cull has come as part of €1.5 billion euro cost saving exercise which it is hoped will be a year ahead of schedule. “This is a terrible loss of expertise. It will have consequences in terms of efficiency,” Bodin added. The company will however invest €700 million in its French production sites. The money is set to be directed towards vaccines manufacturing plants and manufacturing of other biologic medicines. France Focus: Power without responsibility?